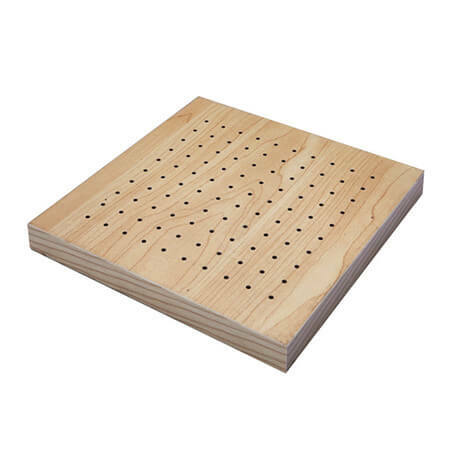 Perforated acoustic wall panels is a kind of resonance absorption material with holes through on the MDF board. The holes diameter and pitch can be costumed made. 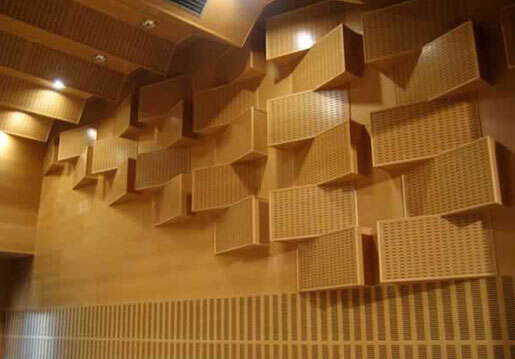 Perforated acoustic wall panels has strong selection on the sound spectrum and particular great performance on the middle and low frequency. 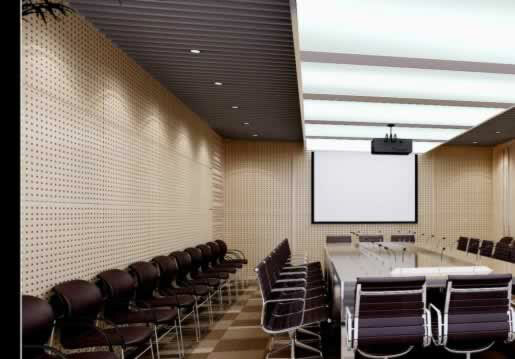 Acoustic wall panels has better sound absorption effect on medium and high frequency if there is sound absorption cotton filled at the back side cavity.